Finding Keller TX Kick Martial Arts who can really provide you with high-quality training for your body and mind can be a bit tough at times. Are you ready to start getting better and mastering Taekwondo? If you or someone you know is trying to find a quality local dojo, we think Tiger-Rock Martial Arts is exactly what you’re looking for. Our humble beginnings started back in 1983 when our founders started a studio for citizens to train at. Ever since then, we have developed our brand into the number one martial arts franchise in the USA. If you’re trying to make sure you join a gym that has a reputation for helping students develop and improve, our track record speaks for itself. We have well over a hundred locations in this nation, and each one is staffed with a group of certified experts. Are you unable to lift as much weight as you used to? Maybe you went for a jog recently and you noticed that your mile time has greatly regressed. If you’re trying to get back up to speed, doing the same exercises that were included in your peak performance might be your first instinct. However, getting back to where you once were and then surpassing that prime is not as straightforward as just repeating previous actions that breed success. Make sure you start working on your weaknesses and getting better by immersing yourself in one of our programs. Our regimens of strikes, kicks, form routine workouts and cardio will help you be better than ever. These are full-body exercises that will push every muscle, and you will also improve your cardiovascular health in the process. A number of our students have told us that they have seen increases in speed, strength, and stamina after committing to our classes. Not being up to your physical fitness standard isn’t the only problem we experience as humans, though. Are you beginning to feel a lack of confidence and discipline as a result of this problem in physicality? Perhaps you’re having trouble concentrating while working or studying, and the worrying only continues to get worse. To improve your mind and make sure you have the mental sharpness you need to succeed, join TRMA. In our dojo, we believe that everybody has the potential to achieve their goals. However, we also believe that fulfillment of destiny comes with persistence. Confidence, not self-doubt. Zeal and eagerness instead of sluggishness. If you’re ready to commit to these principles and give it your all on a regular basis, our professionals are here to guide you. We will help you develop your focus, sense of self, and discipline through our program. There are a plethora of studies that show the positive benefits martial arts carry over to mental health. Discipline is something we all need, and it’s something everybody can constantly improve upon. There are no shortcuts here, and you’ll have to earn your way up to our belt system. It may seem hard at times, but your current belt will reflect your current position, everything you’ve mastered and overcome to get there, and the goals ahead. Sharpen your mind and hone your skills by joining Tiger-Rock and making the most out of your experience here. Are you trying to make sure you have the skills you need to practice effective self-defense? If you’re ever in a time of need and there’s no help close by, you may have to count on our own abilities. If you’re ready to start sharpening these abilities and strengthening your instincts, ask about our Keller TX self-defense classes. These are great ways for you to get the reps you need and learn more about what it will take to protect your well-being. Our instructors are ready to put you through the routines, regimens, and exercises you’ll need to be better at this. As a modern Texan, it can be tough navigating life while trying to add new things to your daily and weekly flows. Are you someone who works fluctuating hours and you don’t want to be placed in a long-term contract that can create problems for that? If you’re trying to avoid this and figure out a schedule that makes sense for you, we can help. We continue to create new class times on a regular basis, and you’ll be able to choose the ones that make sense for your schedule. In addition to this, you’ll also have the ability to work out at any Tiger-Rock dojo in America once you become a member here! 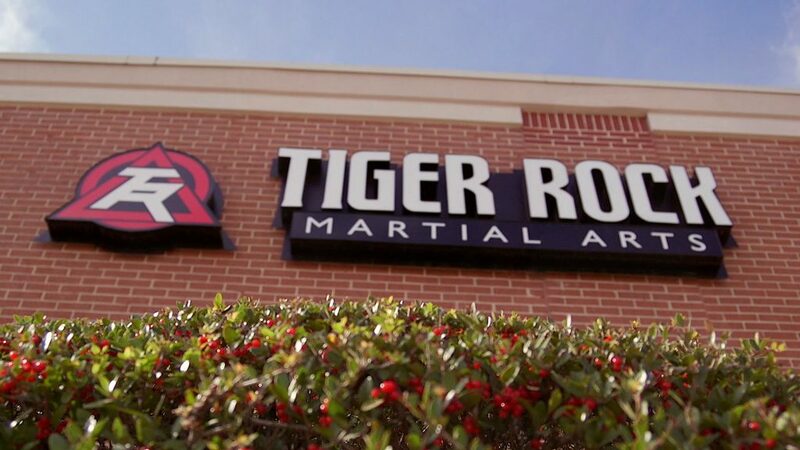 When you’re looking for the best Keller TX Kick Martial Arts, visit your local Tiger-Rock dojo to start your journey towards martial art mastery. Our certified instructors are here to provide you with general feedback, constructive criticism, and positive encouragement every step of the way. Ask about our introductory course package; this includes three classes, a performance evaluation, and more. Our staff is ready to help you start improving your body and mind each time you enter our dojo. The settlement of Keller goes all the way back to the 1850s. In the olden days, our settlement was a great place for barterers. Many farmers and cattle raisers loved the location of our city; it is very close to the Double Springs. However, over a hundred years later, we finally became fully incorporated into Texas. We elected our first officials and began the process of building a modern community. Today, Keller lies within the Tarrant County of Texas. While we aren’t the biggest name in the Lone Star State, we’re proud of the role we play. Are you someone who enjoys having a home to yourself away from the bright lights? If so, you might want to live in a place that still gives you big-city access. This is something that a lot of our residents love about living here. In Keller, you’ll be able to access the DFW metroplex with ease!